Trade talks between the U.S. and China wrapped up this week and covered a wide range of topics. 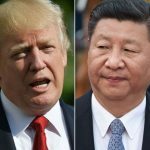 China’s Commerce Ministry released a statement saying the talks are helping to establish a way forward to wrap up the dispute between the two largest economies in the world. However, a Reuters report says the statement didn’t give many specifics on the issues the negotiators are trying to work through. The three days of talks wrapped up in Beijing on Wednesday. It’s the first time the two sides have talked since U.S. President Trump and Chinese President Xi agreed to a 90-day truce during a meeting in Buenos Aires. The Reuters report says China pledged to buy “a substantial amount” of agricultural, energy, and manufacturing goods from the U.S.